Villa Ena is located in a very convenient location, mini bus service every 15 minutes into town, a 5 minute drive into town by car or a leasurely 20 minute walk to Macrossan St (the main drag) - which has an abundance of shops and restaurants, and the spectacular Marina. It is also a short walk to 4 mile beach (with beach access across the road from the villa). We will definitely come back here again! The place was clean and had everything our family needed for a comfortable stay. I would highly recommend. We were even supplied with milk and museli on our arrival! The resort pools and children’s playground were excellent too. Thanks again to the owners as everything was well organised and they were excellent to deal with. we were delighted to host you at our lovely Villa. I hope the information guide we sent assisted in making this such a memorable holiday in paradise. Thank you for staying with us and respecting our lovely villa - we would be delighted to host you again. Thoroughly enjoyed our stay, albeit too short! Had a lovely stay! 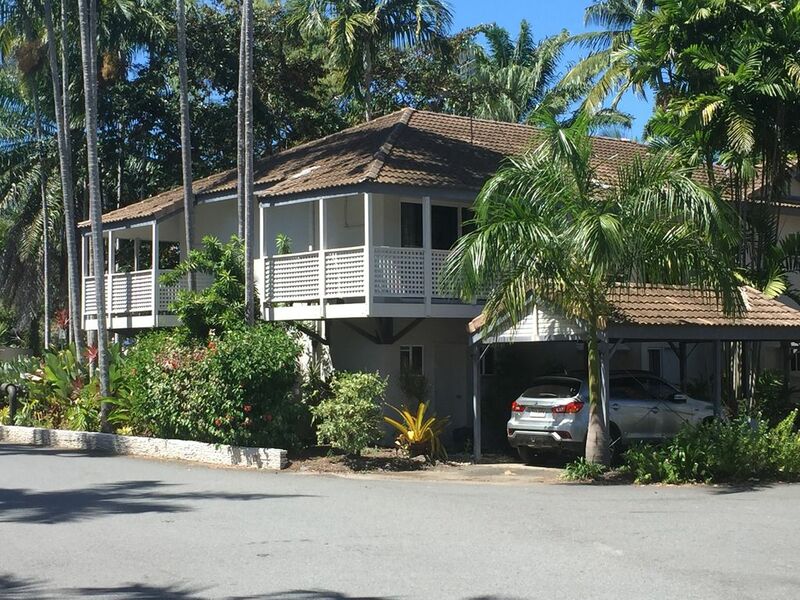 A cosy home for our short stay in port Douglas. Valerie and Angelo were great to talk to, very accomodating. Thanks again! Das Ferienhaus ist sehr geräumig. Die vorhandenen Utensilien (wie die Ausstattung der Küche) sind vollkommen ausreichend. Es ist eine ruhige Anlage mit schönen Poolanlagen. Das Preis-/Leistungsverhältnis ist optimal.